Cherry Jam and Cherry Fizz! | Grow Your Own Veg Blog. Gardening and Food Blog. Cherry Jam and Cherry Fizz! For my foray into making Cherry Jam, I read David Le Bovitz's "No Recipe Cherry Jam" and used the essential ingredients of cherries, sugar and lemon juice but varied the amounts to my taste. 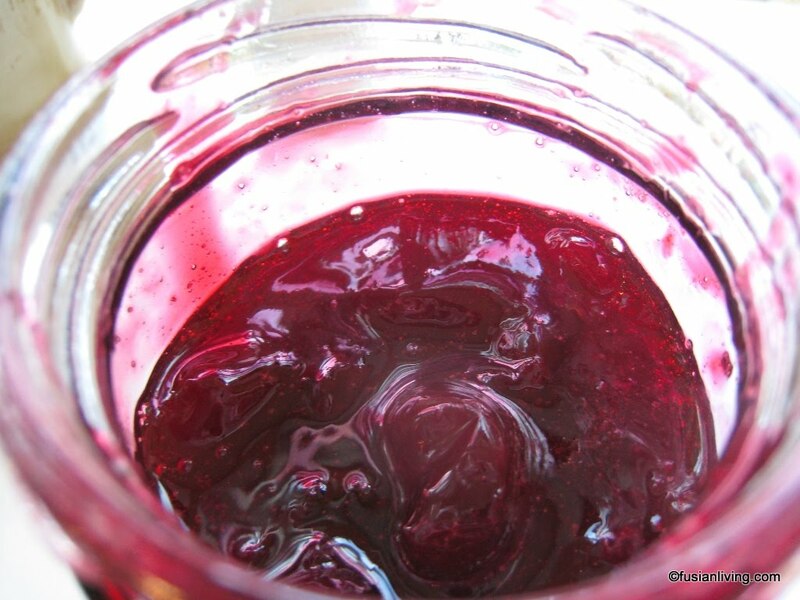 Cherries contain small amounts of pectin, so lemons are used to help give the jam a jelly like consistency. I am using ordinary sugar without pectin and it worked just as well. 1. Pit the cherries. I left them 'whole' and did not chop them into bits. 3. Add the sugar and lemon peel boil for a further 10 minutes. 4. It is ready when it starts to set, and you do this by dropping some jam onto a very cold plate (placed in the freezer beforehand) and testing the consistency with your finger. Read Le Bovitz article (link above) for more details. If you would like more information on how to sterilise a jar or some other jam making basics this video on Strawberry Jam making at the BBC is a good place to start. 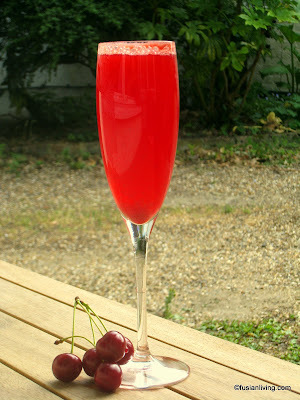 After all that cherry picking, this Cherry Fizz is a drink I make for myself as a little treat to cool off....! If you haven't already read the article on vegetarian vampires and how to extract cherry juice, then read it here. Push the cherries through a sieve using the back of a spoon to remove all the unwanted matter and the pits. Tip: If you pierce them gently beforehand with a toothpick or bamboo skewer, you will minimize any cherry explosions. Place about 1 - 2 tablespoons of the cherry juice into each glass and top off with tonic water or something sparkling! Note: I did not find the need to add any sugar to this, even though I am using sour cherries (but they were very ripe). You can always add some if yours are too sour.